Belonging to the infamous Bernoulli family, Jacob Bernoulli (Brother of Johann Bernoulli) was also a leading mathematician born on 27th December 1654, in Basel, Switzerland. He was of the Belgian origin and it is said that his family was in the drug business until his grandfather decided to move to Basel escaping from the anti-Protestants religious tyranny. Jacob’s initial choice was to study theology but later his area of interest shifted to mathematics even though his father had always encouraged him for theology. He did however earn a degree in Theology in 1676. Jacob travelled extensively throughout Europe during 1676 and 1682 learning mathematical and scientific theories from prominent mathematicians like Hudde and the followers of Descartes. He particularly studied the work by Robert Boyle and Robert Hooke. An acquaintance with Gottfried Leibniz familiarized him with calculus and he published many outstanding papers on several significant concepts such as ‘Transcendental Curves’ in 1696 and ‘Isoperimetry’ in 1700 and 1701 consecutively. It was none other than Jacob Bernoulli who developed the technique to solve ‘separable differential equations’. After he returned from his travels in Europe in 1682, he initiated a school that focused particularly on sciences and mathematics. 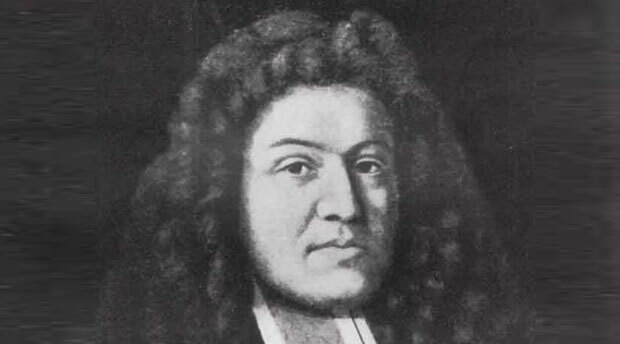 He was also given the post of Professor at the University of Basel in 1687 where he taught mechanics of solids and liquids. Even though he had a Theology degree his choice of career was never the church or anything related to it. His passion for mathematics and physics led him to carry out researches that contributed greatly to these fields. The Bernoulli brothers started collaboration and worked on various mathematical problems together trying to find solutions for them. But soon enough this alliance turned into a rivalry that continued throughout their lives but if anything, it motivated both the brothers to produce great works in the competition. Jacob Bernoulli had significant influences in mathematics including a pamphlet on the parallels of logic and algebra which was published in 1687. Two other pamphlets, one on probability and the other on geometry, were published in 1685 and 1687 respectively. In 1689 he published more works mainly on the infinite series and a law of large numbers concerning the probability theory. His treatise on probability ‘Ars Conjectendi’ meaning ‘The Art of Conjecture’ was published posthumously in 1713 by his nephew. Jacob also discovered the constant ‘e’ used in mathematical problems.